"The Origins of Jiu-Jitsu: The Father of All Fights"
Jiu-jitsu is the oldest and most complete scientific martial art of self-defense. In real combat it is unbeatable against any other form of fight. It is superior because it is complete. 7. Positions (posture, momentum of attack and avoidance, standing up, on the ground, and in various kinds of clothes). Despite contradictory versions, the origin of jiu-jitsu is unquestionably India, the birth place of unparalleled religions and culture. Buddhist monks were the creators of the most complete form of personal defense of all times, which was jiu-jitsu, the father of all fights. Therefore, it is necessary to understand the origins of Buddhism in order to understand the formation of what in later centuries was called by the Japanese as "The Art Suave", or the technique of self-defense, such that with a minimum of force, without the need for brute force, a weaker defender can defeat a physically much stronger adversary. Some 2,500 years ago, in the North of India, some miles above Benares, Siddhartha Gautama was born. He was a member of the Sakya tribe, that spoke either Pali or Sanskrit. He was a scholar of great intelligence who launched the religion that carried his name and soon developed all over India. He became known as The Buddha, which meant "The Enlightened One". One of his principle concerns was how to leave his followers with the great culture and general knowledge with which to better spread his system. Among his followers, monks in far away monasteries who were obliged to travel through he interior of India, and had to defend against the attacks of bandits who infested the region, there were some who were the real creators of this kind of fight that allowed self-defense without using weapons that would violate the morals of the religion. In this way was born the jiu-jitsu with the spirit of defense that is its fundamental element. The application of physical laws, such as leverage, momentum, equilibrium, center of gravity, and a detailed study of the vital points of the human body, allowed them to create the art of scientific fighting. The spread of jiu-jitsu would come about in later centuries, that is, about 250 A. C., when the King of India was Devanamapriya Priyadarsim, also known as King Asoka, two centuries after Buddha. Embracing Buddhism, Asoka developed it and created thousands of monasteries inside and outside of India. In this way, Buddhism and with it, jiu-jitsu reached Ceylon, Burma, and Tibet, and later, Thailand and all of Southeast Asia and eventually, China, and finally Japan where it grew and got a great push. And it spread subsequently to the Western world. Jiu-jitsu entered Japan before the birth of Christ. The death of Asoka brought a disaster to Buddhism and consequently to jiu-jitsu. The Brahmins who adored the religion of the Brahma, that flourished before Buddhism, were prejudiced against the spirit of Buddhism and mounted a campaign to expel the Buddhist monks from India, and this is the reason for the small influence of jiu-jitsu in India. The philosophy of Zen, which arose in Buddhism, without a doubt, is a trace left by the old Buddhist sects that knew jiu-jitsu. Sumo, without kimono, uses the take downs and unbalancing techniques of jiu-jitsu. It is essentially a traditional sport. Kenpo-Jitsu, which is is the art of applying damaging strikes using jiu-jitsu atemi techniques, with the arms. Kenpo was first called "Chinese boxing". It was born in the south of China and spread out to various areas, including the island of Okinawa, where, about 300 years later, it came to be called Karate-jitsu. (the art of fight with empty hands). Much of kenpo which became karate, came from the "atemi" of jiu-jitsu. However it was in Japan that it grew and became enriched and was transformed into the more complete and better system of self-defense that we know today. More than 100 distinct styles were created and put in the in the service of feudal lords in their wars. With the passage of time, jiu-jitsu became a major martial art of the Japanese and one of their national treasures. Although they were men of small size, jiu-jitsu made them to be powerful and unbeatable against the Westerners. In the middle of the last century, a grave threat presented itself to the Japanese people, resulting in serious danger to their great secret of jiu-jitsu. Japan, which until that time had kept itself closed off to the greedy Westerners, received on July 8 of 1853 a visit from a North American squadron of ships commanded by Commodore Perry. When Perry met the Japanese Shogun, he gave him a letter demanding that Japan open up its ports. Perry returned the next year (1854) with a new squadron of ships. In the meantime the Japanese decided to open the ports of Shimoda and Hakodate, both small and unimportant. In 1869 the Emperor defeated the Shogun. The Meiji era was initiated and new ports were thrown open. In 1871 the emperor initiated major social reforms to address the threat posed by the Westerners. The "Westernization" of Japan and consequent penetration by foreigners was initiated in this period. What had been until then a country closed off to the covetous Europeans and Americans, now faced serious challenges. The small Japanese, with their knowledge of jiu-jitsu, had the conditions to defeat the bigger, and stronger foreigners. However, at this very moment, jiu-jitsu, which had been the technical superiority of the Japanese, vanished from view. The curiosity of the foreigner to learn the famous system of fight came to be a major problem for the sons of the land of the rising sun. The Japanese government decided to create a bogus style of jiu-jitsu for external use, without efficiency for real fights. An employee in the Ministry of Culture who was also a jiu-jitsu teacher, was chosen to create a fake jiu-jitsu for "the English to see" (para inglêses ver) . Thus was born the Kano System of jiu-jitsu (that later was baptized with the name of judo), created by a civil servant named Jigoro Kano who (in 1882) founded the Kodokan school. Thus the secrets of jiu-jitsu were hidden from the eyes of foreigners. 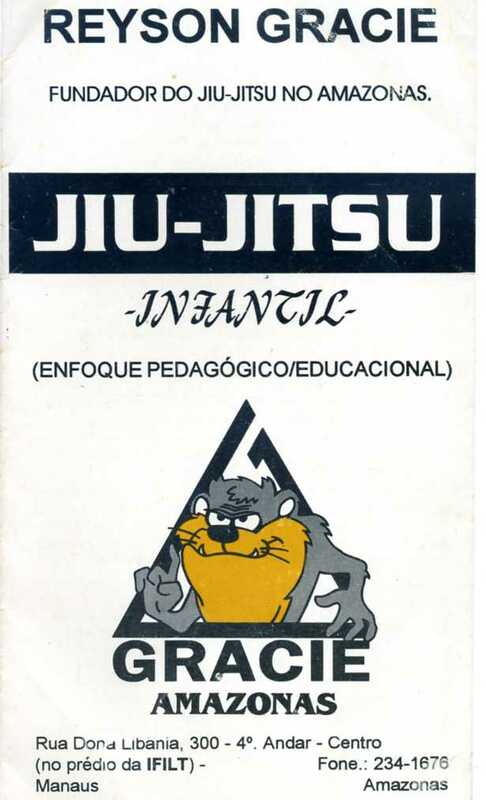 Books and other publications about the real jiu-jitsu were confiscated. One hundred and thirteen styles of jiu-jitsu and thousands of schools changed their names to "judo". Teaching jiu-jitsu to foreigners became a crime of treason. The sport of judo, which had now become nothing more than the sport of jiu-jitsu throws and take downs, was exported to the West accompanied by a tremendous propaganda effort. The Japanese continued to train jiu-jitsu, but secretly. Recently, after the death of Kano, they felt that judo was hobbled, in relation to jiu-jitsu, and so, without the disturbing presence of Kano, they surreptitiously introduced into judo a style of jiu-jitsu to provide self-defense techniques for judokas, who by then knew only sports judo. In this way, goshin-jitsu was introduced into judo. In the same spirit, at the beginning of this century, Professor Funakoshi transformed karate-jitsu (a style of jiu-jitsu) into a sport that was useless for real fights and called it karate-do. Karate-do, like judo, expanded rapidly in the West accompanied by lots of propaganda. Not satisfied with dismembering jiu-jitsu, around the beginning of the century, the Japanese then made a sport out of the joint twisting curriculum of jiu-jitsu, which became aiki-jitsu, which in turn led to aikido. In 1914, a world champion of jiu-jitsu, Kosei Maeda, known as Conde Koma, who won great victories all over the world against every style of fighting, arrived in Brazil. In Belém do Pará, Koma taught the real jiu-jitsu to his diligent student, Carlos Gracie, who moved to Rio in 1920 with his brothers, of whom he was the uncontested leader, and established the first academy of jiu-jitsu, at Rua Marquês de Abrantes, Praia do Flamengo. From that time on, jiu-jitsu spread with blood and sweat. Fighting with kimono, previously unknown to Brazilians, proved itself with victories over all styles that existed in Brazil , such as capoeira, Greco-Roman, boxing, and later, sports judo, and recently, sports karate. The epic and unforgettable fights of Helio Gracie, against physically stronger adversaries, put Brazilian jiu-jitsu above all the other styles of fight. The successive victories of skinny men over muscular giants, quickly made believers out of even the most skeptical doubters, in the invincibility of jiu-jitsu. After years of victories and studies to improve the ground fighting aspect of the style known as Brasileiro de Jiu-Jitsu, jiu-jitsu fighting was launched, which included punches and kicks. The Television Program "Herois do Ringue"
Launched in the 1950's, Herois do Ringue showed the world examples of real jiu-jitsu fighting, as in the time of Imperial Japan, when there were jiu-jitsu fights, sometimes to the death, in the presence of the Emperor. Western people hadn't seen such violent fights before, and Herois do Ringue suffered from a campaign against it by people with competing interests. Finally it was banned, despite epic resistance by lovers of jiu-jitsu. As a result it was prohibited to use strikes. With these restrictions, the Gracie Academy announced that it would immediately withdraw from participation the first time that a fight didn't have the characteristics of real combat. Jiu-jitsu, thus practiced, was called Luta Livre Americana, or Vale Tudo, and later, Luta Livre Brasileira, and finally, Jiu-Jitsu sem kimono or Luta Livre de Jiu-Jitsu. 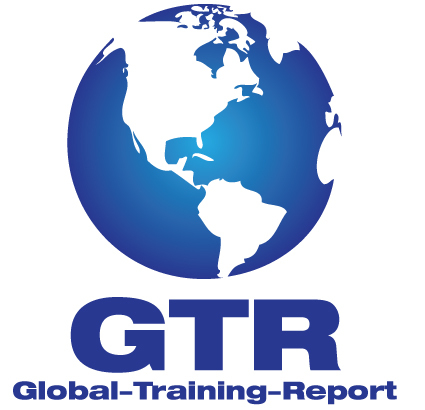 Currently, jiu-jitsu Brasileiro is expanding internationally, as a result of the work done during the 1920's by Carlos Gracie who passed along to his brothers the knowledge that he learned from Conde Koma. Later, successor and faithful student of the ideas of his older brother, Helio Gracie, maintained the tradition helping to bring up the new generation, among whom notable names are Carlson Gracie, Rolls Gracie, and the current Number One, Rickson Gracie, and too many other names to mention, but who deserve admiration and respect. **Translator's Note: The above document, a five page pamphlet (cover below) originally written by Dr. Helcio Leal Binda, was revised by Reyson Gracie. Roberto Pedreira accepts responsibility for the translation, but not for the content (some of which is historically inaccurate). (c) 2009, Roberto Pedreira, all rights reserved. More about the origins of Modern Jiu-Jitsu. 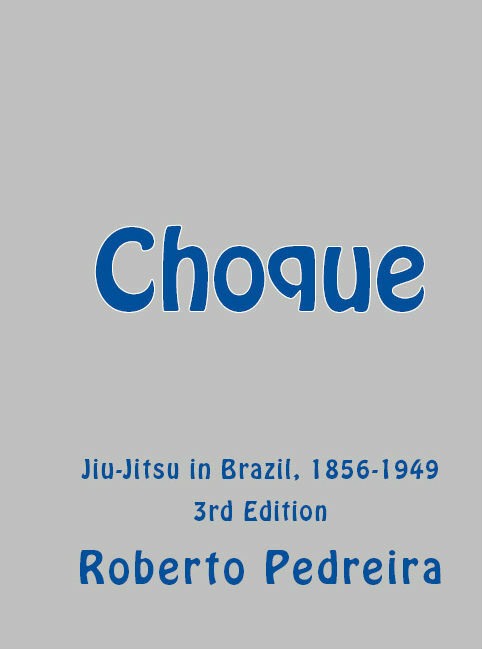 Choque: The Untold Story of Jiu-Jitsu in Brazil, Volume 2, 1950-1960. Choque: The Untold Story of Jiu-Jitsu in Brazil, Volume 3, 1961-1999.